I love summer. I love having extra daylight in the evening. Best of all, our garden is at it’s peak. I often slack on grocery shopping. Driving home from work, I will approach panic and then realize, between the garden and the chickens, I can pull together a simple, easy dinner recipe without having to stop and buy any extra ingredients. The other night was a classic example. Our refrigerator was extremely bare. But I had recently made fresh goat cheese, our chickens are laying eggs, and we had giant zucchinis, cherry tomatoes, a spaghetti squash, garlic and plenty of herbs all from the garden. As soon as I got home from work, I threw the spaghetti squash whole into the toaster oven. (The regular oven works fine, but the smaller squash fit in the toaster oven, which saves energy and keeps the kitchen from getting as hot.) After about 45 minutes at 350°, it was soft. I cut it in half, pulled out the flesh, discarding the seeds and shredded it with a fork. 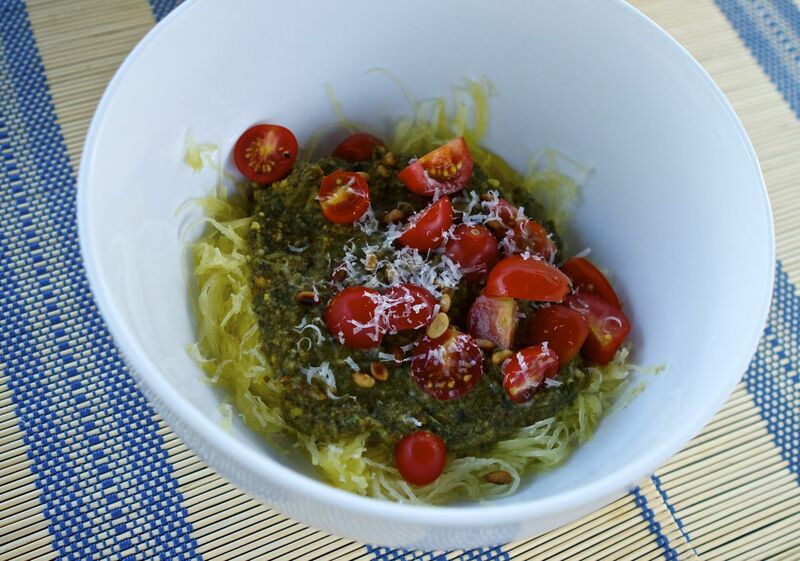 Click here for the pesto recipe. This time I experimented by throwing in an avocado from a friend’s tree. It made it extra creamy. 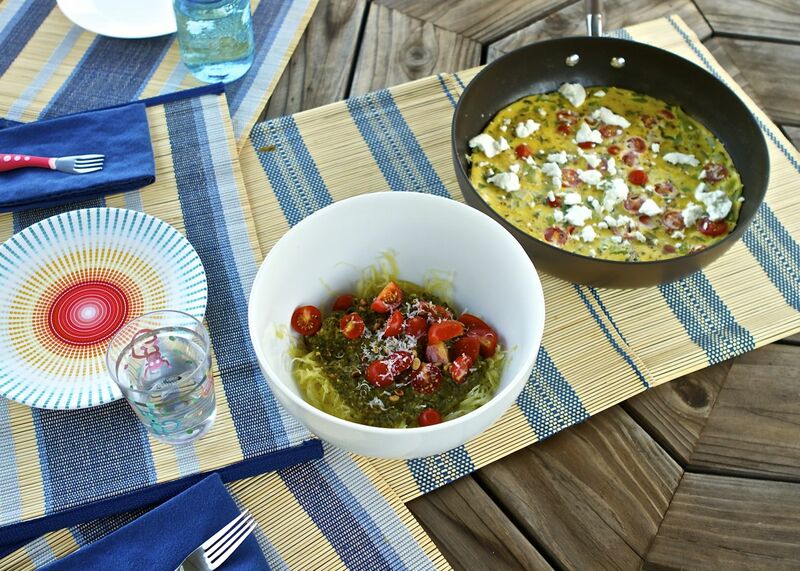 Next up was a frittata. I sautéed the zucchini and garlic in some ghee a friend made, had Little Bird stir, stir the eggs, and then mixed in tomatoes and thyme. After baking, we topped it with our fresh chèvre rolled in truffle salt. 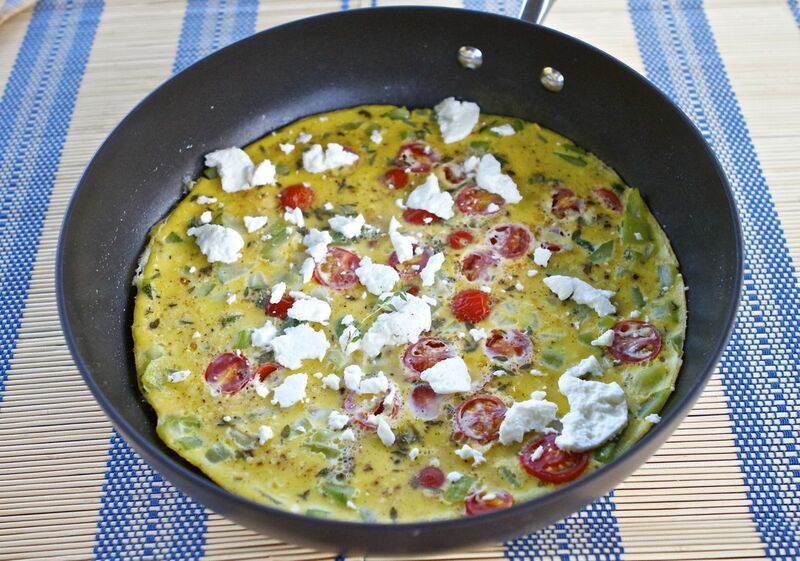 For the full frittata recipe, click here. Victory Gardens for the win!